Beyond Jouk Li Jou – Jouk Li Jou Pi Devan! 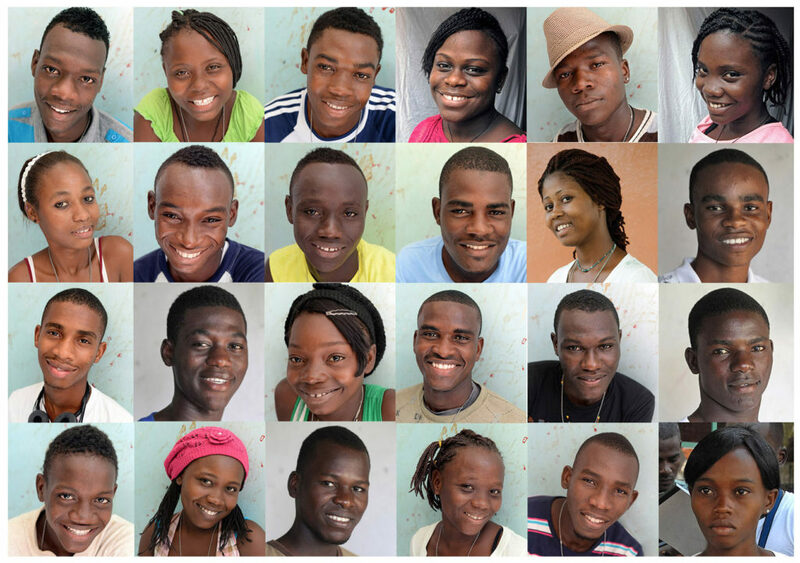 Support Young Adults in Haiti transitioning to the workforce! Zanmi Lakay is excited to begin an ambitious continuing arts and education program for our senior Jouk Li Jou students. The program is called Beyond Jouk Li Jou – Jouk Li Jou Pi Devan! Please join us to celebrate, learn more, and help raise the necessary funds. Each year our Jouk Li Jou curriculum evolves adapting to the requests and dreams of our students. This year the Zanmi Team will be making two trips to Haiti – the first in July and a follow up in October 2016 – concentrating on the individual paths of these young adults from Jacmel and Port-au-Prince as they transition out of Art Creation Foundation for Children (ACFFC), graduate from school, and set forth into the world. For the past five years, Jouk Li Jou has focused primarily on teaching young Haitians Photojournalism with an emphasis in computer and small business training. The program has been hugely rewarding and successful. And now, as many of our students come of age, we are responding to their changing needs with a shift in focus; creating programs designed to support them in achieving their full potential as they transition to the workforce. We want to be sure they have the tools, skills and business savvy they need to succeed on their own. Help support our incredible students and know that your donation has a direct and positive impact on their futures. CLICK HERE TO DONATE! 1. In partnership with Alliance Francaise, we are trading new computers for use in their school for free language, business, and computer classes for our students at their Jacmel location. Students will also receive memberships to the local Alliance Francaise Library. 2. Certificate training at trade and professional schools. 4. Individual job counseling sessions. 6. Field trips to colleges and businesses to meet with professionals and teachers. 8. Expansion of student postcard business with a second edition printing and development of new points of sale along with other avenues of image and print sales through the internet. 9. Upcoming photography exhibitions in Haiti to continue and reinforce our relationship with community, and the production of a Jouk Li Jou Kan Foto book. By increasing economic opportunities for young adults and helping them start and grow businesses, they can obtain meaningful employment setting them on a path to independence with their artwork and careers. Our students have obtained work as photojournalists and organized a Postcard Team selling their postcards to local hotels. Fedno is shooting assignments for local and international organizations and teaching at an art center, as well as documenting all activities at ACFFC. In Cité Soleil, Djimmy has been shooting weddings, funerals, and graduations and he wants to open a photo studio. Learning vital skills, they share stories about local issues from a Haitian point of view promoting progress in their own communities. Other endeavors include Jephte’s original t-shirt business, and Rapho is opening a stall in his local market, and Naderge is deciding between studying nursing and finance. Some students are creative in other ways and are eager to learn how to start their own small businesses. With a collaborative environment, this program fosters teamwork and socialization skills, and builds confidence. We listened to our students’ hopes and dreams and will continue to do our best to provide the critical tools they need to help them on their path. There is an absence of programs like ours for young adults in Haiti. These kids with so much potential absolutely need the extra help to become successful artists and wage earners. Your contributions provide our students vital skills they need to use photography or their own art as a means to earn a living, receive critical training to give them an advantage in other endeavors, qualify these youth to have the confidence and the tools to give back to their own communities, and appreciate the beauty and dignity of their own expression. Zanmi Lakay provides all needed resources and provisions for the workshops and classes. Please take a look at our 2016 Wish List of equipment and supplies, and share the campaign! Together we can make it happen for these amazing students! Donations are tax-deductible plus you will receive gifts of beautiful photography and original art made by our students. 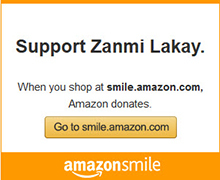 Please donate here on our blog or send a check directly to Zanmi Lakay. Thank you to the hundreds of supporters and sponsors who believe in us and support our programs giving time, funding, and supplies. We are extremely grateful that we can say every camera, piece of equipment, and computer were donated by all of you! We are indebted to our fantastic volunteers that have truly made a difference with their time, efforts, and love for our creative and hardworking students from Cité Soleil, Port-au-Prince, and Jacmel. Special thanks to Steve Walker and Cobaltix for their generosity, donating 10 computers for our Alliance Francaise trade, and helping us with our newsletters!